Do you need a new garage door? Taylor Door Co. has the garage doors in Warren MI to improve your home. 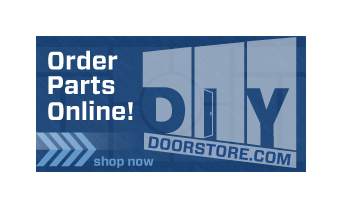 When you get a garage door in Warren MI from Taylor Door you will get a garage door that is reliable, durable and it will be delivered to you with quality service. We can even do same day installations on your garage doors in Warren MI if you call us before 11 a.m. Our family owned and operated business has been installing garage doors in Warren MI for more than 30 years. So when you are looking for a new garage doors in Warren only one name needs to come to mind and that is Taylor Door. When you are in the market to install a new garage door in Warren MI, check out the garage doors at Taylor Door. Our garage doors are the most durable in the industry. We also offer residential garage doors in a variety of colors, styles, manufactures and models that are sure to set your home apart from others with style! Taylor Door installs garage doors in Warren MI! Request a Free Quote or Call 1-800-NEW-DOOR! If you are not ready for a new garage door in Warren MI, check out our garage door repair services. 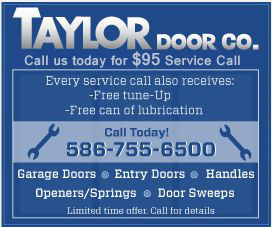 Taylor Door offers the best prices and rates on garage door repairs in Warren MI! When we repair a garage door for you, you will never pay more than $300 for our services. So not only do we offer the best rates on garage door repairs in Warren MI, but you are also get the best services around. The next time you need a garage door repair in Warren MI, call Taylor Door at 1-800-NEW-DOOR.